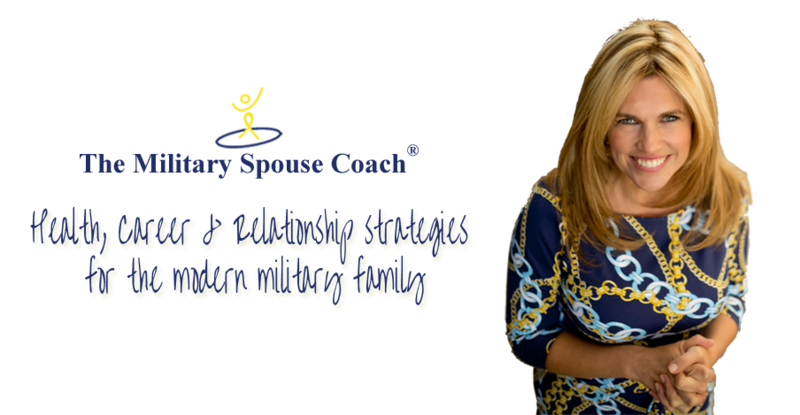 I love helping military spouses mediate on the lifestyle they want and this includes what type of physical environment you want. What does a perfect 10 look like to you when you think of your home? Your home is an extension of who you are so imagine a neat kitchen, bedroom, office, and imagine how that feels and what energy it brings to you. A great tool to use when you are gaining clarity on how to motivate yourself to declutter your home is to your values (a list is available for you in my client area, help yourself) and by clearing your decks a bit, you energetically open yourself up to attract more so clean out those closets, fridges, desks, and then sign up for my may webinar and then you will feel ready to really go for it. Clients laugh when they come to me for job coaching and I send them off to clean their desks and computer files, but it’s a great first step. After you feel like military life is tidy, you can write your go for it statement with much more ease. Go for it statements are also great ways to move forward and I wrote about how to create one in Military Spouse Magazine and I will give you a little snap shot right here but I really encourage you to call me and sign up for a coaching session to get yours into writing and let me help you tweak it to motivate you all year long. I am offering a “go for it” session for only $80.00 to military spouses that are reading this blog. You simply email me “I am ready” and you will get a session with me where we walk you through how to create this powerful statement and its totally individualized. Former clients say their “go for it” statement is what has motivated them the most during our initial coaching sessions and I want to share the experience with you too. I will even give you a few tips here on how to get stated before we even meet so that our session is powerful. Share the post "Imagine Your Ideal Military Spouse Lifestyle"
Happy Mother’s Day To The Military Spouse Community! Get clarity on exactly what you need to change your life today! Download my free quiz that will help you jumpstart creating your ideal life. You have successfully subscribed! Please check your email to confirm.